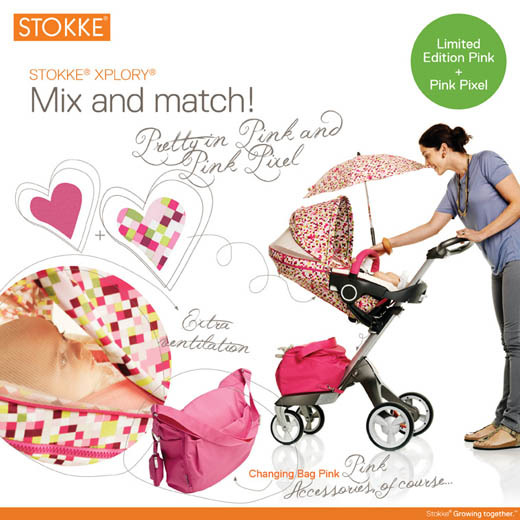 Go Pixel perfect with our beautiful new Stokke® Xplory® Summer kit. New Summer Kits will be available in the UK from Mid March. Does anyone know if this kit fits the older xplory? I am confused!!! How old is your Xplory? The summer kits don't fit the older V2 model but do fit the V3. The summer kits fit the new version Xplory that came out last year. The easiest way to tell if you have the new version is that it has fabric on the back of the seat unit.